Good Jobs New York is a non-profit organization working to promote government accountability for economic incentives granted to large corporations. I mapped the subsidy allocations granted in fiscal year 2009 by the New York City Economic Development Corporation in all five boroughs. I combined these maps with graphic information to create informational brochures called “Subsidy Snapshots.” These brochures make data accessible to Community Boards throughout the city, allowing residents to get involved in the process and workforce development professionals to locate potential employers. 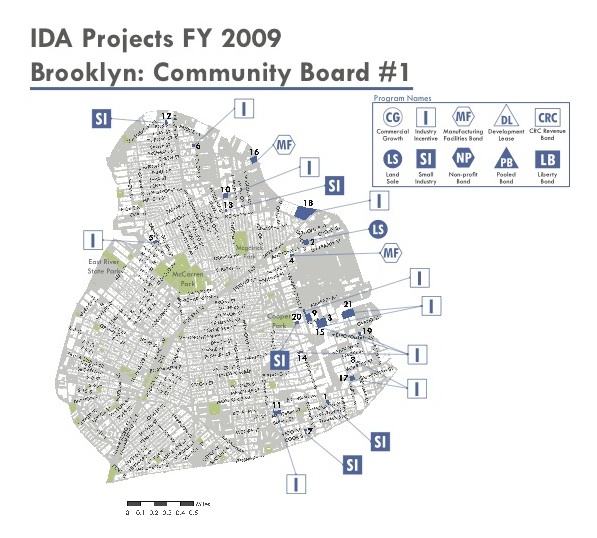 I also analyzed each borough and community board individually in order to point out disparities in the allocation of subsidies by borough and project type. 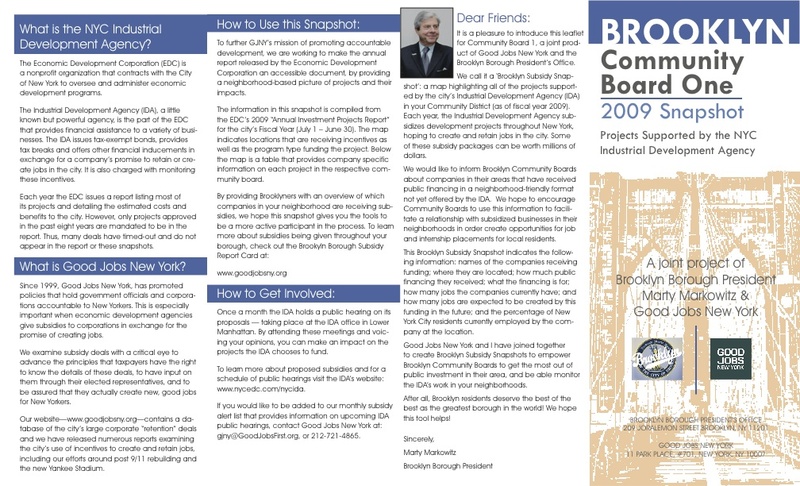 These analyses were provided to each borough and were distributed to the Borough Presidents and Community Boards.